No one could travel through history - past, present and future - as much as the Doctor does without leaving an impression. Much of what we know about this mysterious figure comes from what he does - the planets he saves and the monsters he defeats. But until now we've had little knowledge of his writings. The Time Lord Letters is a unique collection of over one hundred letters, notes, and jottings both by and to the Doctor - correspondence by turns entertaining and inspiring, funny and flippant, brilliant and incredible. From the Doctor's plea to the Time Lords to help end the War Games to an extract from the written defence he submitted at his subsequent trial; from his application for the post of Caretaker at Coal Hill School to his apology to the Queen for missing dinner; from telepathic messages to the High Council on Gallifrey to his famous letter to Santa Claus - like the Doctor himself, the mood can change in an instant. 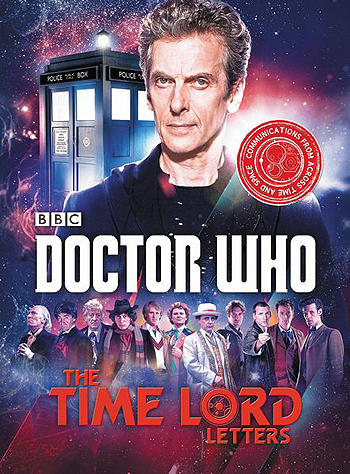 The Time Lord Letters captures the best and most dramatic moments of an impossible life. You'll never see the Doctor in quite the same way again.